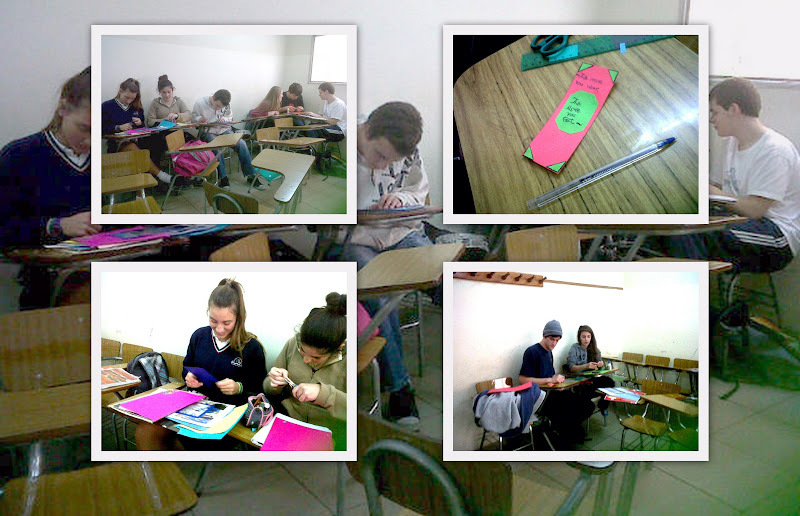 I asked my group to bring colour cardboard, a pair of scissors and sticking glue for the following class. They probably thought something was wrong with the teacher! To prove them right, I also brought old mags to cut out bits and pieces in case they might feel like a collage. The next class I asked them to join in pairs or groups of three and read a story in class. This time everybody read “The Shepherd´s Daughter”. 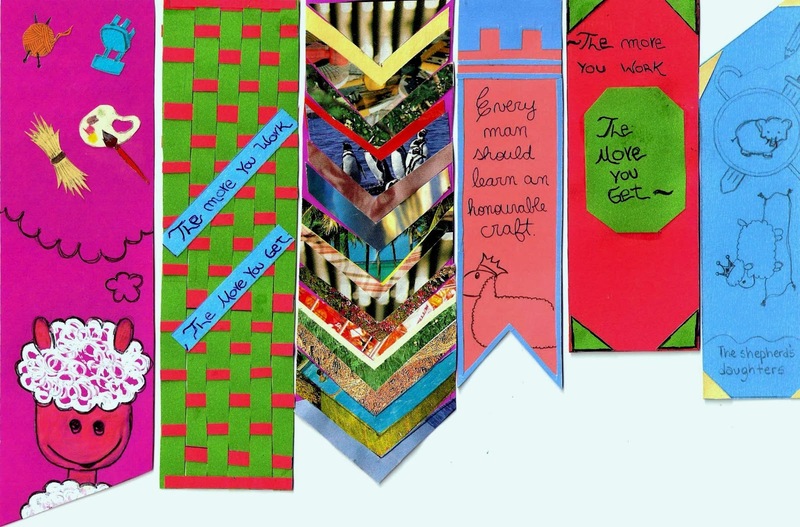 Then, I asked them to design a bookmark related to the story. They spent 40 minutes in their design and then presented their bookmarks to the rest of the class, explaining the connection between the bookmark and the story they had read. They voted for the best bookmark. A different class altogether where everybody worked in a relaxed atmosphere with inspiring background music. Why is it that the same teenagers who make themselves heard, who openly express their views maturely, the moment they are confronted with a writing task, claim to have no ideas, feel their minds go blank? Why is it they are reluctant to get involved in the writing process? What happens when, after convincing them about the importance of giving writing a try in order to succeed, we notice their final productions lack risk? Or, what is even worse, their voices cannot be heard!